Booming headphone use has led to a resurgence in dedicated amps. What was once an esoteric subdivision of beardy hi-fi – I’m not talking about little USB DACs here, but proper combi preamp/DAC/amplification – now dances on the fringe of the mainstream, as users increasingly listen to music at their desk. While big brands have muscled their way into the space, the boom has also provided an opportunity for high-end outfits like Moon by Simaudio. This Canadian specialist has been exerting a gravitation pull on audiophiles, offering intriguing hardware alternatives to popular hi-fi marques like Arcam, Naim and Denon. Moon by Simaudio may not exactly be a household monicker, but the company has carved a solid rep for musical fidelity. 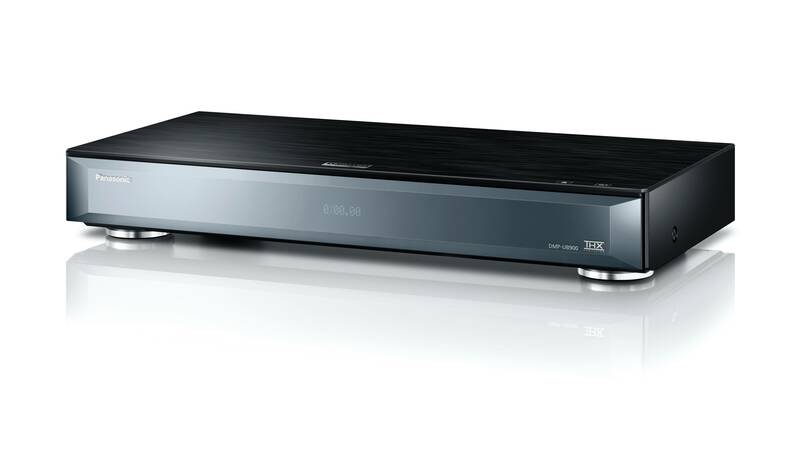 The 230HAD tested here is the latest in its Neo series, which also comprises the all-in-one Neo Ace streaming music system, a rival to the Arcam Solo. As befits its £1,150 / $1,500 / AU$2,099 price tag, this is a solid, substantial (2.8kg) component. The chassis is rolled aluminium with a chamfered front fascia. A silvered logo is flanked by a volume knob to the right and 3.5mm mini-jack input to the right, for wired sources. The headphone jack is (naturally) a full-size 1/4-inch job. Rear-side connections comprise a pair of analogue stereo phono inputs, a single digital optical input and two coaxial digital inputs, plus a USB B connection for laptop hook-up. There are preamp outputs, one fixed the other variable, for integration into a stereo amp or AV receiver. Input selection is confirmed by two columns of LEDs, which illuminate both source and format/sample rate. The 230HAD ships with an ugly full-size IR remote, which only makes sense when used with a full suite of Moon components – much of the buttronry relates to Moon source components – although you can use it to toggle through the various inputs. Output power is rated 100mW at 600Ohms/1W at 50 Ohms. The dynamic range of the DAC hits 118dB, while THD (Total Harmonic Distortion) is specified at 0.005%. Power consumption when idle is quite high, at 10w. The 230 HAD is on point when it comes to high-res audio, but you can only play high-res DSD and PCM files via the USB B connection. DSD support covers single, double and quadruple (2.8, 5.6 and 11.2) data rates. There are some set-up caveats when it comes to laptop listening. Mac users have it easy – they need simply connect via USB and they’re good to go; device support is native within the Apple OS. Predictably, it’s more of a faff for Windows users. You need to download bespoke device driver software from the Simaudio site – specifically the Moon USB HD DSD driver, plus the ASIO driver. Alternatively you could use jRiver or Foobar with the device drivers and associated plugins. The 230HAD is an astonishing listen. The sonic character of this amp is crisp and precise, favouring detail above all else. At times though this Moon can lack atmosphere, sounding overly bright, depending on the source material. There’s nothing clever about Shonen Knife’s punk tribute album Osaka Ramones (CD), but it is fun. However, the Moon reveals all its choppy, vocal rawness, with none of the joyous bop. Step up the fidelity and you’re rewarded with a far more forgiving stereo imaging. I partnered the 230HAD with Audio Technica ATH-W100 Sovereign headphones, longstanding favourites with distinctive wooden enclosures, a pair of vintage AKG K270s with cutesy twin driver arrangement, and the more recent Oppo Planar magnetic PM-1. The amp had no problems driving them all, even the usually demanding Oppo. While the amp will slum it with Spotify, it purrs when spoilt. Up the ante to 24-bit content, be it FLAC or SACD/DSD, and its sheer musicality will quickly put a grin on your face. 2L’s recording of Anna Follesso’s Bartok Sonata Solo for Violin is presented in almost surgical detail. It sounded as though the strings were being plucked inside me head. Literally, inside. This is refined, clever stuff. While the spec is forward-looking, there are some limitations. That media player mini-jack may have legacy use, but I’d prefer to see a front-facing USB slot, so I can preload a thumb drive with tracks and leave my media player where it belongs (misplaced somewhere around the house). There’s no wireless provision at all. Most users will opt to drive the 230HAD over USB, but I thought the amp was best served from a decent analogue source. I lavished it with a pair of Chord Shawline analogue interconnects (a £200 indulgence) and absolutely loved the results. And I guess therein lines its appeal. It’s just as at home on a desktop as in a dedicated listening room. Analogue or high-res, the Moon Neo 230HAD sounds suitably stellar with both. The Moon Neo 230HAD is refined and classically musical. It offers extraordinary clarity and precision, making it a great choice for born-again audiophiles. There’s plenty of connectivity too, enabling it to be used either as a simple USB sound system, or integrated into something much more complex. With no Bluetooth onboard, tech hipsters may take some convincing. It can also sound a little on the bright side, lacking punch with rock and dance music. 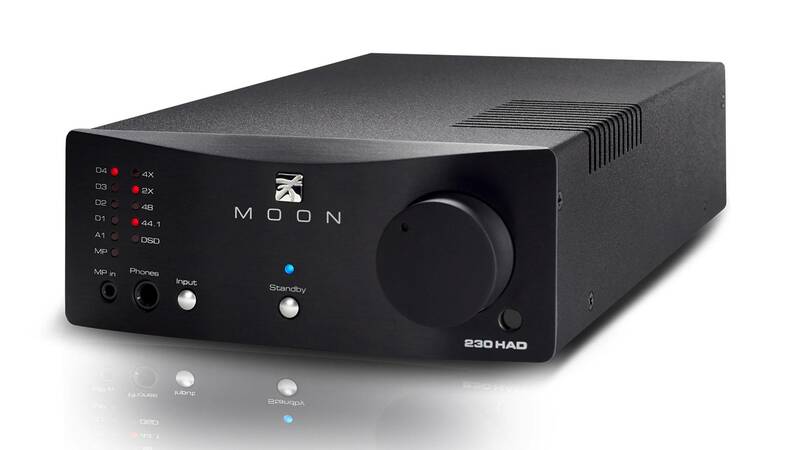 The Moon 230HAD is something of a poster boy for headphone hi-fi. 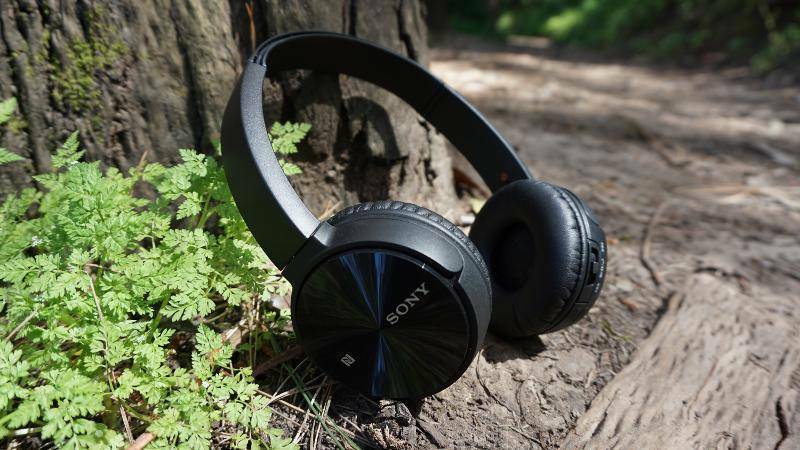 It offers astonishing levels of clarity, and sounds delicious with high-res audio. Sure, it’s only really for those owning above-average headphones, and it lacks some modern niceties, but the sheer vibrancy of this amplifier will repay the investment.